We have been to the Landour Bazaar in Dehradun a few times. A few hundred feet up from Mussoorie Mall, this winding stretch situated right in the bosom of the Garhwal Mountains, caters to natives and tourists alike. Meandering through the undulating path and occasionally catching a glimpse of the eternal hills beyond the huddled shops, one suddenly becomes aware of every little thing in the Bazaar that has gone into the stories of the writer of writers: Ruskin Bond. Ruskin Bond, the writer-artist, is essentially a miniaturist. With a few words, he can heighten a seemingly ordinary thing to sublimity. The creator of so many gripping stories and moving poems was born in Kasauli, a wonderful hill station, on 19 May 1934. No wonder then that majority of his works happened in the lap of the majestic mountains. He always says that mountain is in his bones. His writings reflect the purity and simplicity of mountain life devoid of all prejudices which often make life difficult in the flat, featureless land below. His writings are lucid and picturesque. Different parts of the country will indulge themselves in the grand birthday celebration of this prolific writer who turns 83 this year. 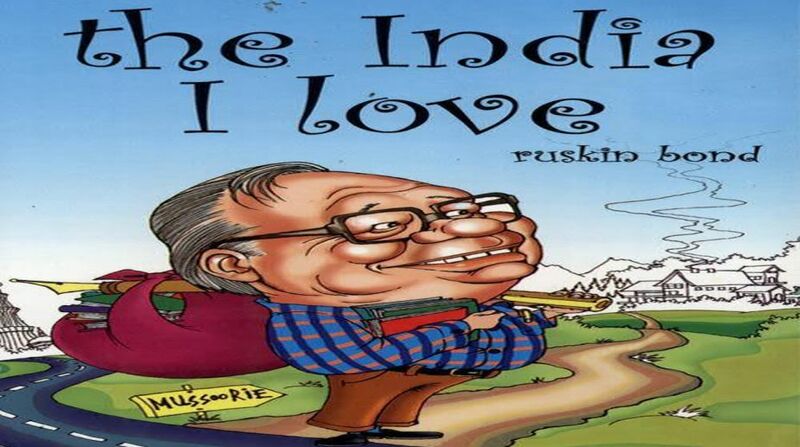 Ruskin bond has always been firm and single-minded towards writing. His readers feel inspired by his perseverance on the face of severe odds. Getting Bond’s autograph nowadays is not an ordeal but I consider myself luckier than the rest as the writer himself wrote my name in his book, A Face in the Dark and other Hauntings and wished me good luck and success on 30 September 2009. Taking a look at his lovable and inimitable autograph engraved on the flyleaf of the book, an ecstatic sensation ran up my spine to the very roots of my hair as I could not believe my eyes. Getting back home, I took to solitude and started reading the stories, one at a time, with great interest. Each story made me forget the sense of time and place so much so that what happened in the house completely escaped my notice. Among the stories the uncanny ones were The Haunted Bicycle and Topaz. The characters kept appearing in my dreams. The author has portrayed an exceptional amalgam of emotions and feelings in these stories constituting mainly of supernatural, ghosts and love too. Bond is loved throughout the world as everyone can relate his magnificent snapshot creations with their own lives. He has written nothing too much fictional which can perplex the readers. He feels for every little thing in the world and that has come out in his writings. He concludes each story with an abrupt and fascinating end and leaves the various interpretations on the readers without in any way intruding his authorial self, and that has made him famous world-wide. He is considered as one of the greatest authors not only because of his heart-tugging and soul-stirring stories but also because he has inspired many aspiring writers. He has written in almost all kinds of genres. Apart from his novella Room on the Roof, his stories like Woman on Platform No 8, The Eyes Have It, The Blue Umbrella, Night Train at Deoli among many others, are my perennial favourites. His noteworthy writings have fetched him a number of awards, namely the ‘Sahitya Academy Award’, ‘Padma Shri’, ‘Padma Bhushan’ and some prestigious international awards as well. 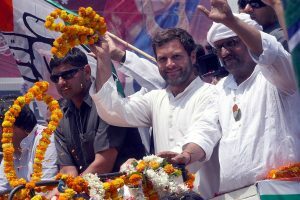 He is loved and respected throughout the world and has rightfully secured an ineffable niche in the hearts of people.